The answer to the question, what is the best sewing machine for beginners is not a popular name, such as Singer, Bernina, Pfaff, Brother or any of the other excellent brands. Compare sewing machines and you will find that each of those companies offers a model any newbie would love. There are two key questions you must ask yourself to get the right answer and the right machine for you. How much can you/do you want to spend? And, second, what do you need your machine to do? The second question is trickier than the first—which just takes a quick look in your wallet to answer. If you are just starting out on the journey of discovery that is the craft of sewing, then you may not yet know what it is you require of a sewing machine. 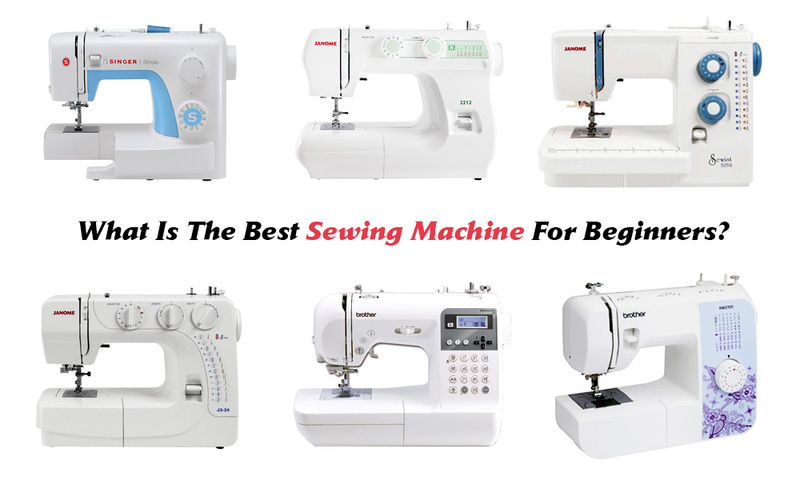 So here are some guidelines that will help you choose the best sewing machine for you. If you have done very little sewing then it is wise to turn your back on the technological wonders available to the home sewer packed with dials, switches, led screens and enough computing power to run a few business. You are better off with a machine that has the basic functions that will allow you to tackle most newcomer sewing tasks, yet without so many bells and whistles that easily confuse someone starting out. You want to spend your time and concentration learning to sew, not drive the machine. And you don’t want to spend your money on expensive technology that you may never use, particularly if you end up only using your machine for basic hemming and repairs. If you are a techie person and have a hard time resisting the shiny gadgets and computer screens on high-end models, think of your first machine much like your first bike. It probably wasn’t a racer or mountain bike and it probably didn’t cost in the thousands. It was a starter model, a training bike that allowed you to learn at your own speed and which you probably traded up for a flashier model when you were ready. Look at a sewing machine the same way. Make sure it does the basics, get started sewing and you will know when you are ready for a big kid sewing machine. The beginning sewer needs a machine that will sew forward, reverse and a simple zigzag. Invest in a machine with the strongest motor you can afford. If you purchase a new machine it will most likely have a buttonholer. Opt for a one-step, which allows you to turn a dial and then let the machine do the work. Older machines may require a buttonhole attachment. They work very well but are more cumbersome. The only other question for an entry-level machine is whether to go for a drop in bobbin or a vertical/side/front bobbin. This is a matter of preference. The drop in sits under the needle and is very easy to thread and load. You don’t need to worry about threading a case as well. If you use plastic bobbins (only if the case is plastic) you can see when it is time to reload with thread. Embroiderers, among others, prefer this type of bobbin. However, to reload, you have to remove your work from the machine. A bobbin that sits in a metal case and inserts on the side or front of the machine is only slightly trickier to load but has the advantage of handling sturdier fabrics and many believe is long-lasting overall. After you have looked at machines with these features, take your pick.